At Legacy, we believe that a healthy community begins with health families. We are committed to serving the family with high quality mental health services by providing psychiatric evaluations, medication management, and psychotherapy. It is our goal to improve overall patient functioning and satisfaction for a happier and healthier individual. 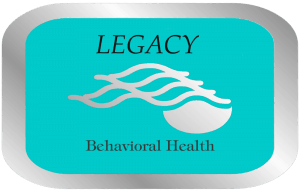 Legacy providers are highly qualified and experienced in psychiatric services. We believe in looking at a person not the illness. Our goal for every patient is wellness. Furthermore, we believe in the individual’s right to utilize their insurance benefits for psychiatric services. For this reason we are proud to be in network providers with many insurance companies.